Welcome She Writers to the Bloggers Ball Re-Re-Redux! My blog is for people to share their experiences grieving the death of a friend. 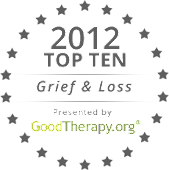 Many people feel not only the loss of that person, but a surprising lack of respect for their grief. That's why the title of my book is "It's Not Like They're Family": Mourning Our Friends and Celebrating Their Lives. Feel free to browse and comment, and follow if you'd like. I look forward to visiting your blogs this weekend, too! Hi Victoria - we know each other already but I'm visiting today from She Writes. Have a great weekend. Dancing over from the SW ball. Have been here before but always good to visit again. Visiting from the SheWrites Ball. Best of luck in your writing. Hi, Victoria. Thanks for stopping by my blog. I hope you will take me up on my offer and submit something for me to critique.